Inspired by the Astoria Women's March, you are taking action and making a difference for our communities and country. After a long slog, we celebrate news of a real victory on healthcare. With your help, we’ve demonstrated the power of the people in American democracy. Get active with INCO and enjoy the satisfaction of fighting the good fight as we defend democracy. Share your talent, wisdom, and patriotism. Work with like-minded people, and encourage others to join in, too. As hard as we've worked saying NO to Trump's agenda, we know we must also work to say YES to government by and for the People. Following a first-round Listening Tour, Indivisible National has announced plans for Indivisible 435, a program that articulates a bold progressive vision and empowers us with resources to expand the electorate and bring more people into the electoral process in every one of the nation’s 435 congressional districts. We'll have more info about this on our website and at INCO meetings and events. There is important work to do; we all are just the ones to do it. Resistance School on Thursday, August 10! Walk with INCO in the Regatta Parade on Saturday, August 12! 1. Accountability on TrumpCare. 49 Senators voted last week to take away healthcare from millions of Americans, and 51 voted to protect it. They need some direct feedback from you. Here are sample call scripts for your Senators. Plus, if you get a chance to talk to your representative during the August Recess, make sure they know you expect them to reject any Senate version of TrumpCare using our August recess town hall questions. 2. Oppose these nominations. Tell your senators to oppose the nomination of Kevin Newsom for the U.S. Court of Appeals for the 11th Circuit in Alabama. As noted in this Politico article, Newsom is part of Trump’s broader attacks on civil rights. The vote is expected today at 5:30pm ET. 3. Join us for Facebook live TONIGHT. Join Indivisible team members tonight for a Facebook live at 8:30pm ET here where we’ll be giving an update on what’s next for TrumpCare, what’s happening in Congress this week, and answering your questions in real time. 4. Look beyond Oregon.These 3 senators voted for TrumpCare, so help us end their careers. Check out our new IndivisiBlog from Political Director María Urbina outlining our new political program, and help us defeat Senators Dean Heller, Jeff Flake, and Ted Cruz. These 3 all voted in favor of TrumpCare and are up for reelection in 2018. If you can, help us build up our new state campaigns here (more info below). 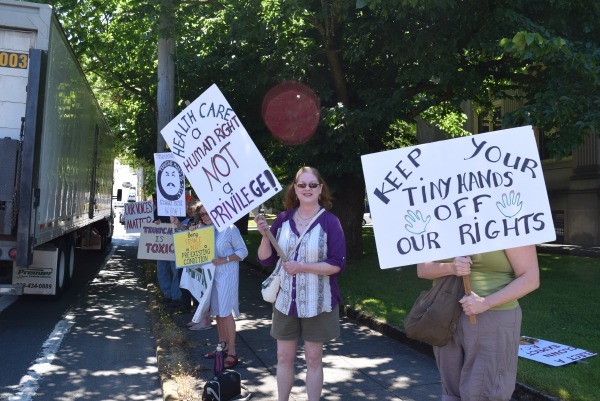 INCO folks from Manzanita to southwest Washington gathered outside the Astoria Post Office for our July 18th rally for healthcare. Tuesday, August 1 - Astoria Community Group Monthly Meeting, 6:30 - 8 pm, Astoria Public Library Flag Room, 450 10th Street at Exchange; accessible; off-street and street parking. • Persuasion 101: How We Start Winning 2018 Now. 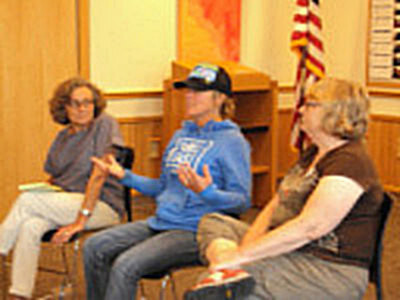 Thursday, August 10 - Resistance School - How to Structure and Build Capacity for Action, 6-8 pm, Seaside Library Community Room; lively discussion after the video training; potluck snacks welcome. INCO yard signs, posters, and pins will be available. Saturday, August 12 - Walk with INCO in Astoria's Regatta Land Parade; gather by 11 at the Aquatic Center or at about 19th and Exchange - look for the INCO banner. We'll walk from 12-1 in a slow-paced, level walk about a mile long. No signs. Wear Red, White and Blue - or dress as a positive, iconic American Activist or an inspirational Historical Figure or Character! More details on our Facebook page and in next week's newsletter. Info at nancyspringmontgomery@gmail.com. Thursday, August 24 - INCO Reading Group-Book Club, 6:30 pm, in Astoria. This month's book is Erick Fromm's “The Revolution of Hope: Toward a Humanized Technology." Contact Carolyn Eady at cebeady@outlook.com for information about location. Defending democracy means defending the Bill of Rights. Read the first ten Amendments to the Constitution and learn how essential they are to the US. Search online for "Bill of Rights." Help INCO connect! Tell us about other like-minded people and organizations that promote civic engagement, informed voting, and other activities to strengthen our democracy. Bring your suggestions to your Community Group meeting or contact INCO at incoregon@gmail.com. Get your "In Our America" yard sign or poster at INCO meeetings and events and meetings. INCO pins and other items are also available. Contact incoregon@gmail.com or Laurie at 503-338-6508 for details. Check out the resources on our website and on our Facebook page. Together, we are making a difference! 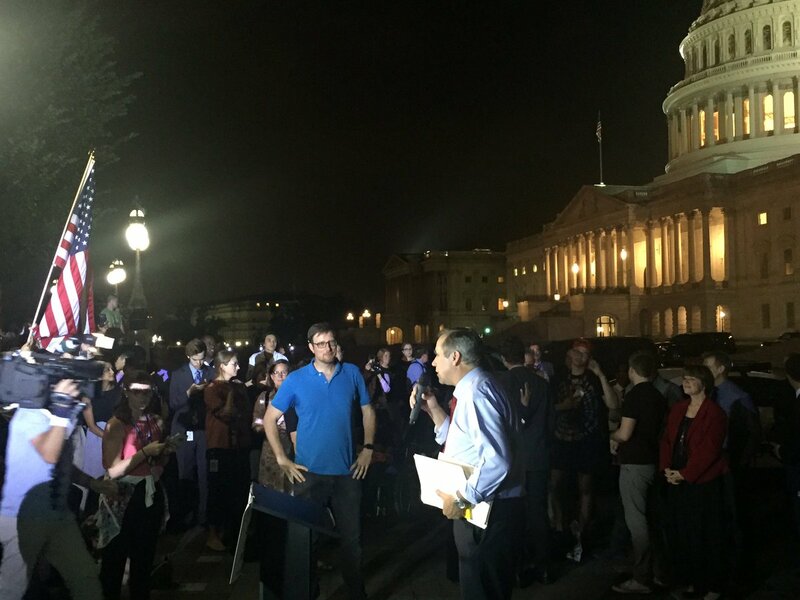 Friday was a crucial victory when we stopped the “skinny repeal” of the ACA http://wapo.st/2tV6NTv. Thanks to our Senators for leading the resistance to TrumpCare. Kudos to Senators Collins, Murkowski and McCain for listening to constituents! Threat #1 will crash the exchanges. Insurers will drop out making health care more expensive & less accessible http://bit.ly/2uMz6AN. Threat #2 is just vindictive. --Our senators continue to call for a bipartisan effort to reform health care. McConnell has conceded this is the political reality http://cnn.it/2uUuyHw. --A bipartisan House group is exploring ways to stabilize the ACA http://politi.co/2heZd0e. --Rep. Schrader, with nine democrats, released Solutions Over Politics Plan to repair the ACA http://bit.ly/2v4Gszt. We must remain vigilant and work to ensure that the ACA is not sabotaged. We must push for a bipartisan fix to the ACA. Then we can talk about public option/single payer. We have the momentum, let’s use it to #ProtectOurCare! “My name is [--] and I’m a constituent from [city], Oregon. Thank you for your persistent efforts to save the ACA and in particular for co-sponsoring the Solutions Over Politics Plan. Please do all you can to bring this plan to the floor for a vote and work to fix the ACA. WE DID IT. We stopped the GOP from passing Trumpcare!!!!! This is a big moment for our movement. It’s a great time to thank our MoC leaders in the Resistance – and to acknowledge your own role in it. We are filled with gratitude for all of you. Every phone call, every tweet, every rally, every time you joined us for ResistTrumpTuesday or visited your MoC on your own – it all matters. It brought us to this moment. It’s participation from ALL OF US that makes this a *movement* – and a movement to be reckoned with. So today: Call our Members of Congress to thank them. And then: Celebrate!! You’ve been working for months to protect our care. And thanks to everyone’s hard work, we won yet another critical battle together. The Resistance is WORKING. Time to high five and kick up our heels! Do something special just for you. You deserve it!! “My name is [--] and I’m a constituent from [city], Oregon. Thank you for everything you did to stop Trumpcare. I will always remember how you stood up for Oregon and America. I am proud to call you my senator. Please do all you can to fix the ACA. “My name is [--] and I’m a constituent from [city], Oregon. Thank you for everything you did to stop Trumpcare. I will always remember how you stood up for Oregon and America. Please do all you can to fix the ACA. “My name is [--] and I’m a constituent from [city], Oregon. I am grateful Trumpcare failed. I will remember your role in bringing this vote about. You can redeem your vote by doing all you can to fix the ACA. Do something special to enjoy this moment! After a long slog, we celebrate news of a real victory on healthcare. Through a movement that’s seven months young, we’ve demonstrated the power of the people in American democracy. As hard as we've worked saying no to Trump's agenda, we know we must also work to say yes to government by and for the People. Following a first-round Listening Tour, Indivisible National has announced plans for Indivisible 435, a program that articulates a bold progressive vision and empowers us with resources to expand the electorate and bring more people into the electoral process in every one of the nation’s 435 congressional districts. Strategic targeting on key races to reclaim congressional and state power. “It’s also important to talk about what we’re not going to do,” the national team explains. “We are not going to act as an arm of the Democratic Party. We believe that vibrant independent progressive groups like the Indivisible movement play a critical role in holding both parties accountable and pushing them to be better. And we don’t think that any politician is entitled to hold on to their seat of power if they’re not representing their constituents and doing everything they can to protect American values and communities. The Senate is debating other attempts to repeal the ACA. Do not despair. We still have time to stop this. Keep calling. Yesterday’s motion to proceed opened debate on the Senate floor—which the GOP is using for political theatre. Behind the scenes, McConnell is crafting the “real” Trumpcare bill—which, as of this writing, looks like a “skinny repeal”. This “skinny repeal” gets rid of the individual and employer mandates and some ACA taxes, and defunds Planned Parenthood. With these changes, 16 million Americans would lose their healthcare, insurance premiums would go up by 20%, and the insurance market would collapse (http://cnb.cx/2h4McG6, http://cnnmon.ie/2tLqME7). The Dems are doing all they can to slow down this process. Senator Merkley is armed with hundreds of amendments with which to filibuster (http://bit.ly/2tKPUL9). We supplied many of those amendments, but we need to do more. We need to sway 3 GOP Senators to vote NO on the final Trumpcare bill. And we need to do it now. We can get 3 NO votes by helping red state constituents tell their senators to vote NO on the final Trumpcare bill—whatever it is. We have worked so hard in our blue state. Now is our chance to make a difference in red states. We may have lost the "motion to proceed" on Trumpcare yesterday -- but we're far from powerless. The next 48 hours are crucial. We still have time to stop the bill—and thanks to the Indivisible Guide, we have a powerful new tool: calling red state constituents. You can call on your own, or call with us. 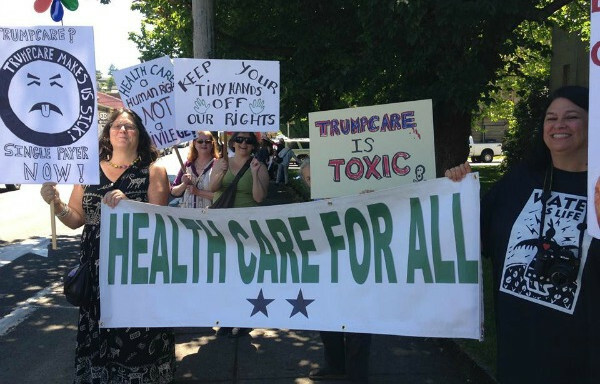 Indivisible Oregon is organizing “Call and #KillTheBill” calling relays throughout the day around Portland today. Our goal is to help red state constituents call their Senators and make this clear: vote NO on the final Trumpcare bill presented to the Senate. We have time to do this because the motion to proceed opens up debate on Trumpcare. It will be followed by a political show. The GOP is going to throw out amendments to distract us. The Dems are going to “filibuster by amendment”. And while they are doing that we will be helping red state constituents tell their senators to vote 'no' on the final bill presented to the Senate. Our Senators are leading the resistance to Trumpcare. We thank them for standing up. Now is our chance to make a difference in red states. Please bring your laptop/tablet and phone. Indivisible Oregon organizers will be present to guide you through making the calls. If you can’t make a “Call and #KillTheBill” calling relay, you can call on your own: https://www.indivisibleguide.com/hubdialer-signup/ . Or, host your own "calling party" by inviting a few friends or neighbors to make calls with you! This is it! This is the final push to defend healthcare for us and millions of Americans. The next few days are crucial. We are all exhausted but we can still win this. For that to happen we need another huge and definitive outcry from everyone! 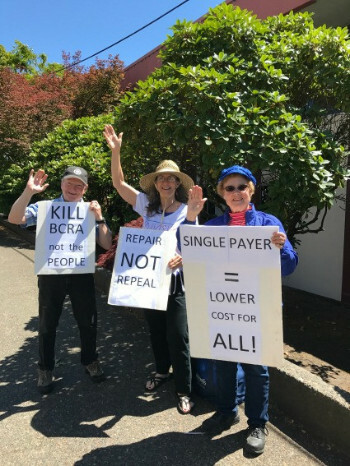 Enthusiastic INCO supporters of practical health insurance reform got many supportive honks and thumbs-up from passersby at our rally outside the Astoria Post Office July 18 to protest TrumpCare. TrumpCare isn't dead yet. Support the DREAM Act. And more! McConnell is strong-arming Senators for yet another TrumpCarevote. Urge your senators to vote NO on the “Motion to Proceed” on TrumpCare using our new call script. You can also check out our updated collection of TrumpCare resources to separate fact from fiction and understand exactly where we stand today. Tell your Members of Congress to oppose any budget that finances Trump’s mass deportation agenda. See our brand new explainer here. 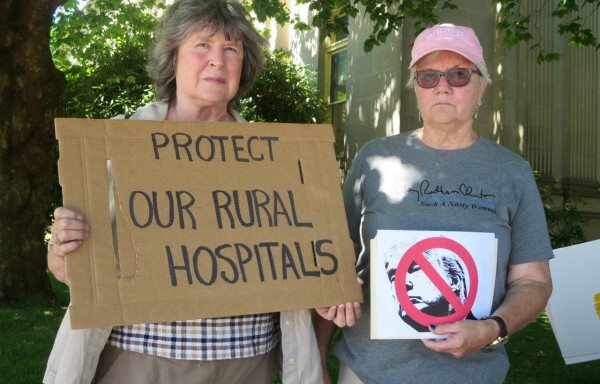 INCO folks from Manzanita to southwest Washington gathered at our rally for healthcare. 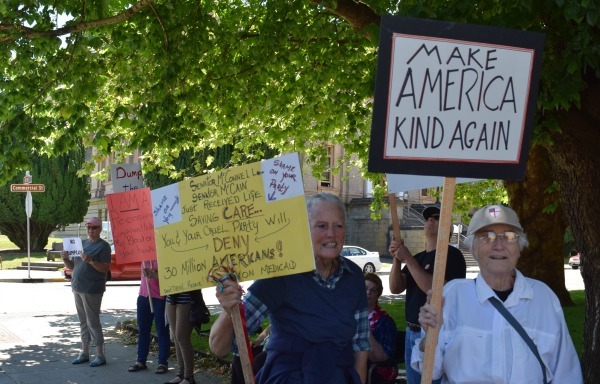 Thursday, August 10 - Resistance School - How to Structure and Build Capacity for Action, 6-8 pm, Seaside Library Community Room; lively discussion after the video training; potluck snacks welcome. Saturday, August 12 - Walk with INCO in Astoria's Regatta Land Parade; gather by 11 at the Aquatic Center or at about 19th and Exchange - look for the INCO banner. We'll walk from 12-1 in a slow-paced, level walk about a mile long. No signs. Wear Red, White and Blue - or dress as a positive, iconic American Activist or an inspirational Historical Figure or Character! More details on our Facebook page and in next week's newsletter. Keep up with Trump outrages in this excellent overview with links to other informative sites is in this New Yorker online article. Link your other activities with INCO! 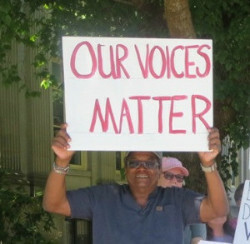 We want to connect with like-minded people and organizations to promote civic engagement, informed voting, and other activities to strengthen our democracy. Bring your suggestions to your Community Group meeting or contact INCO at incoregon@gmail.com. 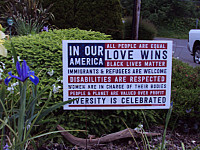 Get your "In Our America" yard sign or poster at Resistance School and other INCO events and meetings. INCO pins and other items are also available. Contact incoregon@gmail.com or Laurie at 503-338-6508 for details. Check out the resources on our website for defending democracy. Together, we are making a difference! Another week – another crucial vote on Trumpcare. Buckle up folks. We have work to do. Mitch McConnell has scheduled a vote on Trumpcare tomorrow. No one knows on what version or if there are enough votes to pass it. The GOP is pulling out all the stops to get to yes on Trumpcare. Trump campaigned with Senator Capito in West Virginia. Koch organizations and conservative operatives are working the phones/social media and calls/posts are tipping towards repeal. What can we do? We must stop the motion to proceed (MTP). To get Trumpcare to a floor vote, McConnell needs an MTP to pass. If we stop the MTP we can take a breath. And then get ready for the next round. If the MTP passes, the Senate enters debate on Trumpcare. This is when the Dems can “filibuster by amendment”. Each amendment gets 1 minute of debate and 10 minutes to vote. The more amendments we have the more time we have to convince Senators to vote NO in the final vote. The GOP is counting on us to get tired and lose focus. We must stay strong. We must keep calling. We must stop the motion to proceed. “My name is [--] and I’m a constituent from [city], Oregon. We must stop Trumpcare. It will be devastating for our country. I know you are doing all you can to stop this bill. Please find a way to stop the motion to proceed. Thank you. We will do all we can to stop the motion to proceed. But we must be ready if it passes. We need everyone to create as many amendments as they can at https://www.ouramendments.org/. If you can, print them out and bring them to Resist Trump Tuesday at Senator Merkely’s office tomorrow at noon. Call, post and tweet all your friends and ask them to tell their Senators to vote NO on the motion to proceed. After failing to pass Trumpcare this week, Trump promised to “let Obamacare fail” and “won’t own it” when it does (http://nbcnews.to/2u5xZfj). How does this make America great? While Trump and the Congressional GOP hash out legislation to take away healthcare, the administration is doing everything it can to undermine Obamacare. These efforts have already lead to premium increases (http://lat.ms/2rRhNAf). They went as far as using TAXPAYER dollars to run an ad campaign AGAINST Obamacare (http://thebea.st/2vmanmA). Right now the GOP is making deals to pass Trumpcare. They are also working on a straight ACA/Obamacare repeal. They are determined to pass something. The fight to save our healthcare must continue. We do this by calling our Senators and helping friends and family do the same. We do this by joining the conversation. We are in this together. A healthy America is a strong America. “My name is [--] and I’m a constituent from [city], Oregon. I am very worried that Trumpcare will pass or there will an ACA repeal. We cannot go backwards as a country on healthcare. Please do all you can to stop the ACA repeal and Trumpcare. Please work to fix the ACA. Thank you. **ACTION 2: HELP FRIENDS AND FAMILY IN RED STATES CALL SWING SENATORS. Swing Senators are getting political pressure to ignore their constituents and vote for the ACA repeal or pass Trumpcare. Please call everyone you know and help them tell their Senators DO NOT repeal the ACA or pass Trumpcare. Please share this action and any others you find in support of the ACA far and wide on social media. We must work to make it clear to Senators, Representatives and the American people we cannot go backwards on healthcare. Trump has over 100 federal judgeships to fill – many open for years due to the GOP's refusal to vote on Obama appointees. This week the Senate plans to vote on a lifetime appointment for John K. Bush who is biased and well out of the mainstream. While nominees are allowed to be politically active before becoming a judge, Bush’s statements go beyond politics and represent an ideology that calls into question his ability to be impartial and open minded when on the bench. Given his blog posts and writings, Bush’s nomination is outrageous. The Senate must refuse to grant a lifetime appointment to a right-wing ideologue who, if confirmed, will shape our country's policies for generations to come. The Senate must vote NO on John K. Bush’s nomination. “My name is [--] and I’m a constituent from [city], Oregon. I am very concerned about John Bush’s nomination for a federal judgeship. His prior statements and blog posts demonstrate that he is well out of the main stream and is likely to bring his biases to the bench. Please vote NO on his nomination. Share this post with friends and family. And help them to call and tell their Senators to vote NO on this nomination. 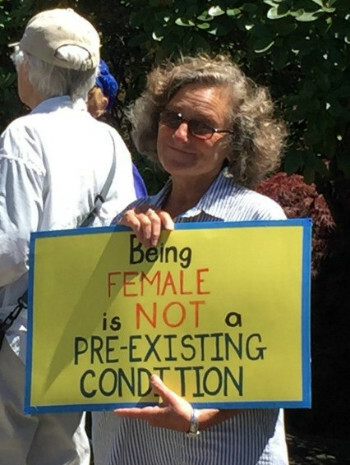 RALLY with Indivisible North Coast Oregon! 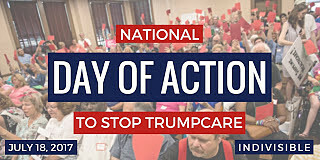 INCO will join Indivisible groups across the nation by showing up together to say that TrumpCare would hurt our friends, our families and our country. We’re not letting that happen without a fight. We can win this - this is what Indivisible was made for. This week we apply our power where we have the most leverage: defeating TrumpCare. If we win on this ground, then it's harder for Trump to win on any other front. Tell your Senators (Wyden, Merkley, Cantwell, Murray) to vote NO on the "motion to proceed." This week's vote is delayed, but that doesn't mean we'll delay our pressure. The Congressional Budget Office score on the most recent iteration of this TrumpCare train wreck gives us ample reason to insist the Senate #KilltheBill. Your voice is key to making sure McConnell doesn't get the 50 votes he needs to move the bill forward to a final vote. Tell them to stand firm against this outrageous tax cut for the wealthy, pretending to be a bill about health care. Check out this guide to other Trump-GOP agenda and actions, helpful for identifying what's really at stake: the health and future of our democracy. The Indivisible Guide has great resources to fuel your opposition. 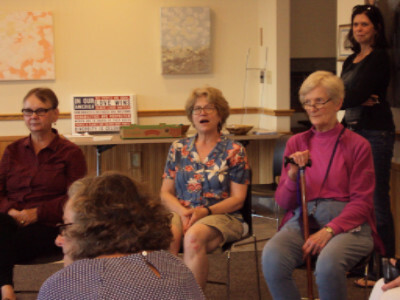 Winning the 2018 elections motivated everyone at Resistance School July 13. We discussed "DIY-mocracy" and being smart issue advocates now - as we learn skills to listen and persuade. Check out the Indivisible Guide. It's written by former congressional staffers and is our guide for a resistance built on the values of inclusion, tolerance, and fairness.